Panaji: As part of the Navy Week 2017 celebration, INHS Jeevanti and Goa Medical College (GMC) conducted a Blood Donation Camp, a statement from Navy said. The camp was inaugurated on Wednesday by Rear Admiral and Ms Punnet K Bahl, VSM, the Flag Officer Commanding Goa Naval Area at INHS Jeevanti. A total of 81 donors from the Goa Naval Area contributed towards this noble cause. The motivation and enthusiasm with which the personnel and their families came forward was laudable. INHS Jeevanti has a Blood Storage Centre with the mother bank being the Blood Bank at GMC. 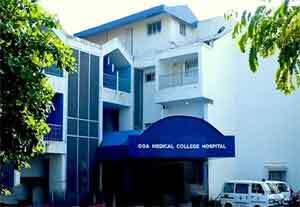 The hospital also maintains records of all Naval personnel in the Goa Naval Area along with their respective blood groups to ensure availability of required donors in times of need by GMC and other hospitals. This reciprocal association between the Indian Navy and GMC would go long way in saving lives in times of emergency in a nation where blood is always in shortage and every drop counts, the statement added.